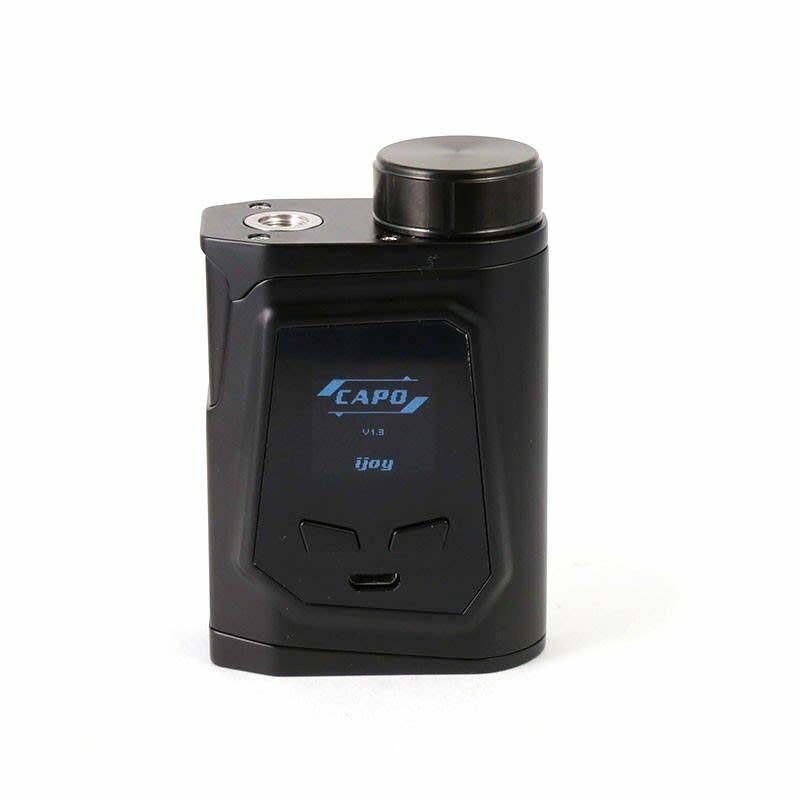 The Capo 100 Kit from iJoy combines the 100W Capo TC box mod with the new 3750mAh 40A 21700 cell, providing dual battery power in a single battery design. 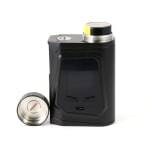 The iJoy Capo 100 Kit includes their new 100W Capo TC box mod, and 21700 battery! The Capo is a compact box mod that can deliver 100W to atomizers as wide as 26mm, with a resistance ranging from 0.05ohm to 3.0ohm. 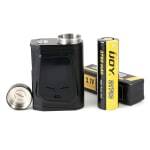 This pocket friendly device pairs perfectly with the included 40A 3750mAh iJoy 21700 cell delivering dual battery performance in a single cell format, and is also compatible with 2700 and 18650 cells (not included). 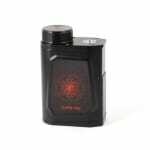 A 1” OLED screen displays battery life and amp draw, atomizer resistance, and puff counter. 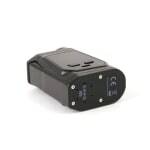 Multiple wattage profiles (normal, soft, hard, custom) allow you to ramp the power up or down through the first 3 seconds of firing, and temperature control supports NI/TI/SS. The notched battery top cap minimizes the size of the device, is easy to remove and secure, and is set back from the 510 pin allowing for large tanks and decks. The curved sides make the device comfortable to use, and the large fire button has responsive feedback and a satisfying click. A micro USB port supports firmware updates and battery charging; however, an external charger is recommended.